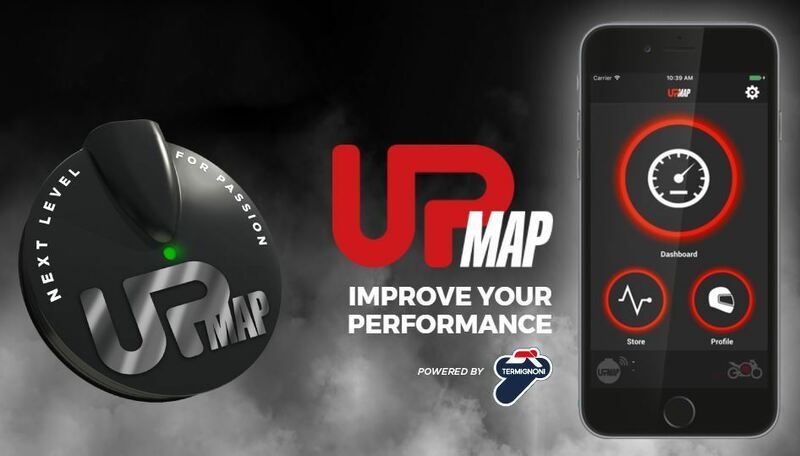 UpMap is a project born from the need to improve vehicle performance, in a scenery in which the continuous development of electronics makes it increasingly difficult to achieve this goal with the exclusive use of exhaust systems. The Termignoni effort in making this innovative product, which comes from the traditional core business of the company, has been truly remarkable and resulted in the birth of a new division dedicated, involving 18 people, the commitment within 15 months of research, including 5 of development, 3000 km of track testing and the implementation of 1000 mq2 of the establishment. The goal was to design a system that would allow you to reprogram, in an user friendly way, the ECU system, so as to provide the user the ability to operate in complete autonomy and safety. 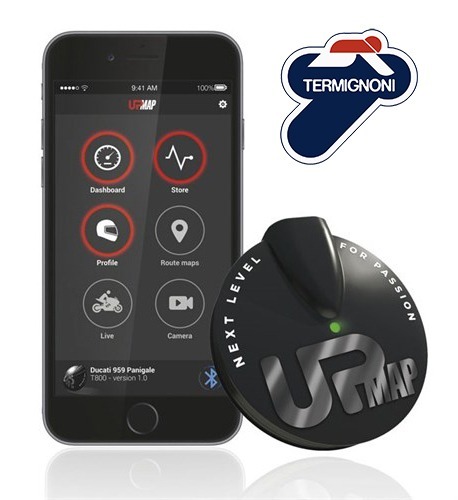 UpMap connects to the diagnosis cable of the bike and allows, through the application, to access from your smartphone, in real time, to a universe of mappings developed and tested by our experts. 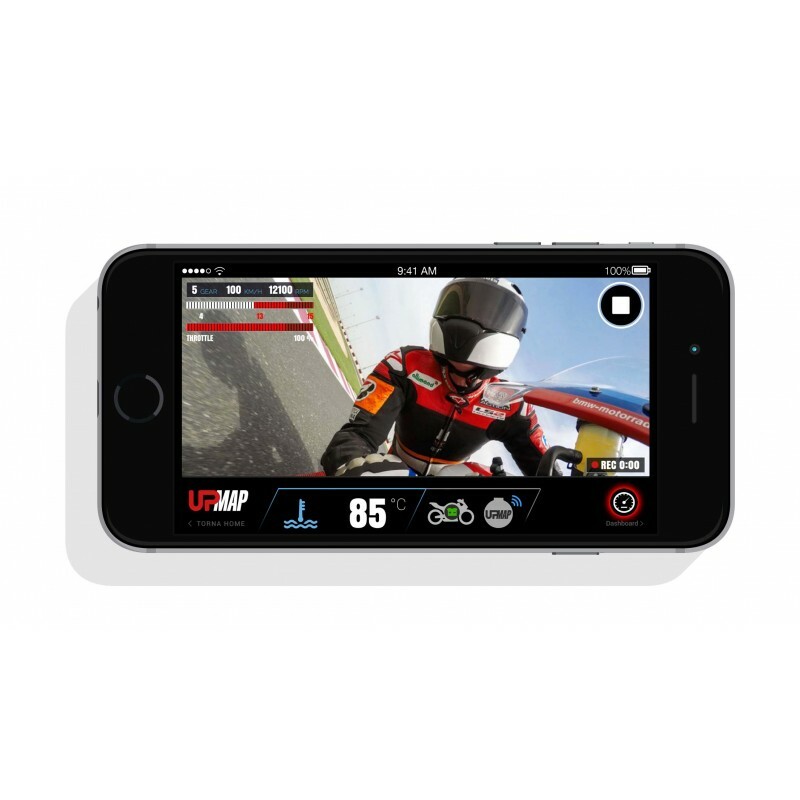 UpMap allows you to reprogram the ECU in total autonomy and security, from your garage without having to contact an expert or spend time to test the bike on a test bench. 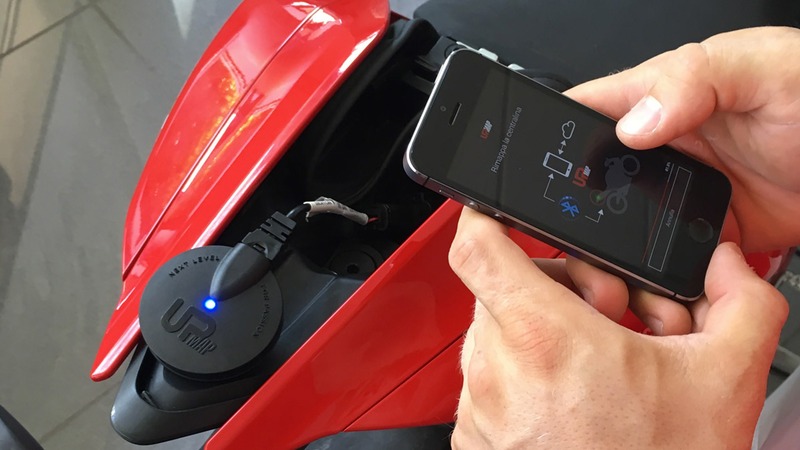 ECU connecting cable must be connected to both the bike’s diagnostic socket and the T800 UpMap device.